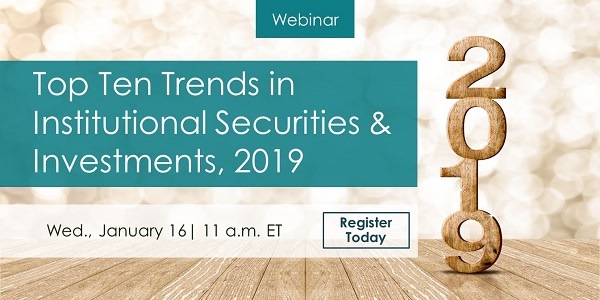 Join Aite Group research director Virginie O’Shea and her team for a one-hour webinar as they identify top trends that will shape capital markets around the globe in 2019 and beyond. Clients of Aite Group's Institutional Securities & Investments practice can access the full webinar on-demand by logging into our website. Spencer Mindlin is an Aite Group analyst focused on capital markets technology, particularly front-office trading technology, execution and order management systems, market data platforms, exchange-traded funds, and emerging financial technology products.